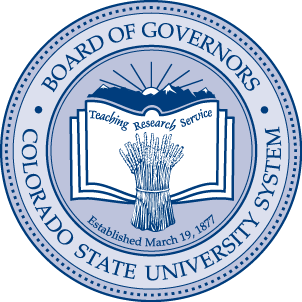 The CSU System provides the Compliance Reporting for employees, students, and constituents to report issues, in good faith, regarding compliance with laws, regulations, and policies. Fraud involves intentional acts to obtain unauthorized or unlawful gain, such as theft or embezzlement. The fraud reporting hotline of the Office of the State Controller allows employees and other citizens to report alleged fraudulent acts involving state agencies and institutions of higher education. You may also report suspected fraud, waste and abuse to the State of Colorado Fraud Hotline Website: http://www.colorado.gov/dpa/dfp/sco/fhotline.htm, or phone, 303.886.6244. Immediate threats to persons or property (please contact the police immediately). Yes, you may choose to make your report anonymously. The CSU System will make every attempt to maintain confidentiality within the confines of the law. We ask that if you choose to file anonymously you provide as much detailed information as possible for our review, as we will be unable to contact you to request further information. You may also report suspected fraud, waste and abuse to the State of Colorado Fraud Hotline Website, http://www.colorado.gov/dpa/dfp/sco/fhotline.htm, or phone, (303) 886-6244.